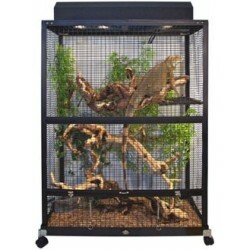 Reptile Screen Cages - The Serpentarium, Inc. Excellent for Green Iguanas (up to 3 feet in size), Water Dragons, large Old World Chameleons, Bearded Dragons, and many other large sized species of lizards. 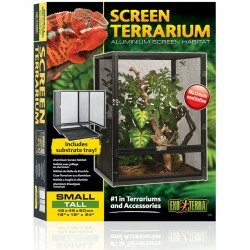 Size: 36" x 18" x 48"
Great for small species of Old World Chameleons, Juvenile Green Iguanas and other arboreal species of lizards, such as Geckos, Anoles, etc… Size: 18" x 18" x 36"
Great for small species of Old World Chameleons, Juvenile Green Iguanas and other arboreal species of lizards, such as Geckos, Anoles, etc… Size: 16" x 16" x 30"
Great for small species of Old World Chameleons, Juvenile Green Iguanas and other arboreal species of lizards, such as Geckos, Anoles, etc… Size: 16" x 16" x 20"
Great for small species of Old World Chameleons, Juvenile Green Iguanas and other arboreal species of lizards, such as Geckos, Anoles, etc… Size: 24" x 24" x 48"
Individual removable/washable trays that hold substrate for the ReptiBreeze® and ReptiBreeze®LED Deluxe Screen Enclosures. 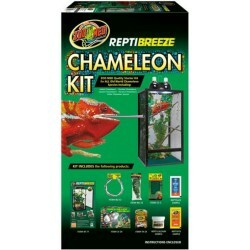 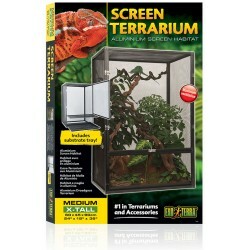 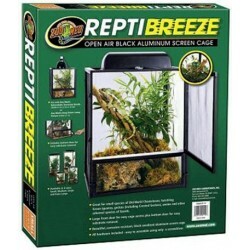 Size: Large (18" x 18" x 2") * Fits the Large Zoo Med ReptiBreeze Screen Cage. 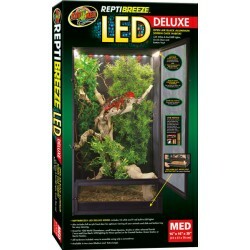 Individual removable/washable trays that hold substrate for the ReptiBreeze® and ReptiBreeze®LED Deluxe Screen Enclosures. 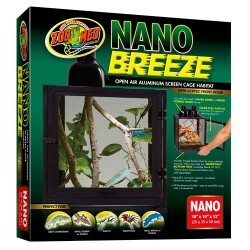 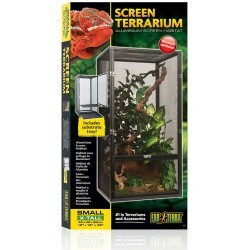 Size: Nano (10" x 10" x 1") * Fits the Nano ReptiBreeze Screen Cages. 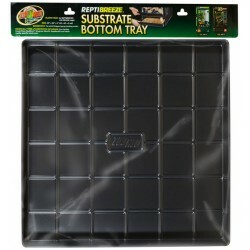 Individual removable/washable trays that hold substrate for the ReptiBreeze® and ReptiBreeze®LED Deluxe Screen Enclosures. 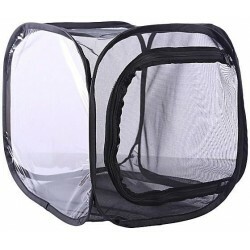 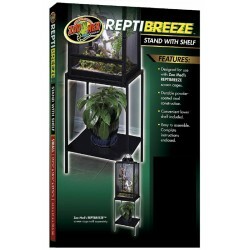 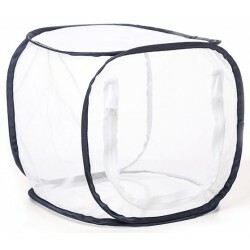 Size: Small/Medium (16" x 16" x 2") * Fits the Small and Medium ReptiBreeze Screen Cages. 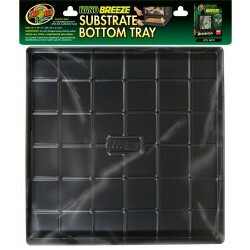 Individual removable/washable trays that hold substrate for the ReptiBreeze® and ReptiBreeze®LED Deluxe Screen Enclosures. 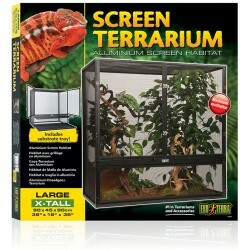 Size: X-Large (24" x 24" x 2") * Fits the X-Large Zoo Med ReptiBreeze Screen Cage.